Of all the cryptocurrencies that experienced significant price increases, Litecoin was one of the most notorious ones. The token created by Charlie Lee performed so well that it took 4th place in the global marketcap. Mr, Novogratz has always compared Bitcoin to gold; however, he has consistently refused to accept that Litecoin could be the equivalent of digital silver, a contrast that has been used by many experts and analysts, including Charlie Lee. Even though Litecon was born as a Bitcoin fork aimed at providing lower fees and faster transactions, the fact that Novogratz called it a “glorified testnet” for Bitcoin seems triggered the sensitivity of many people in the crypto ecosystem. Charlie Lee was undoubtedly one of the first to react and just said that Michael Novogratz was wrong. Mr. Greenspan attached a document in which they thoroughly investigated this blockchain. It explains that the similarities are not only at technical levels but also from a financial point of view it seems that the BTC-LTC relationship is very similar to that of Gold-Silver. Others like Litecoinbro called for serenity. While it is possible to have conflicting opinions, tribalism and attacks are detrimental to an ecosystem as young as the crypto-verse. Please don't try and make this a tribal thing. We are all in crypto together. Let's build it up, not tear it down. @SatoshiLite has done so much for Bitcoin over the years. That man had a vision of how to compliment Bitcoin and executed it before most even knew what Bitcoin was. 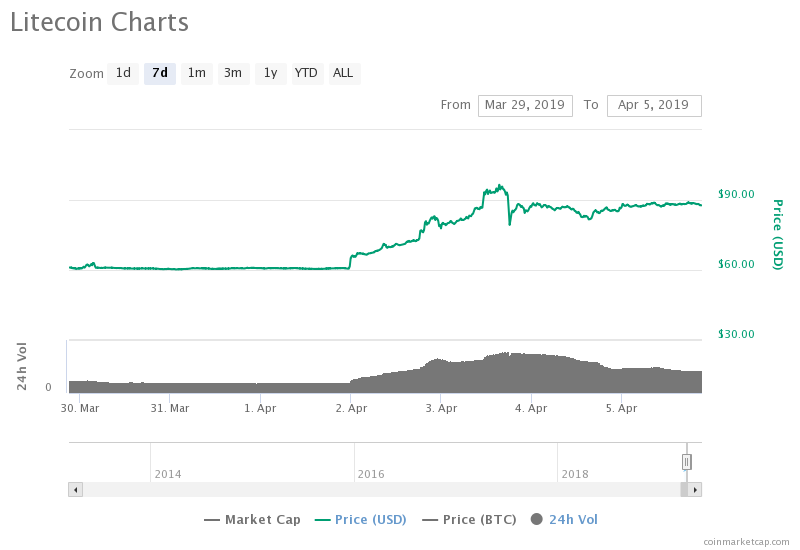 Right now, Litecoin has a marketcap that exceeds 5.4Billion dollars and a token price of approximately 88 USD.